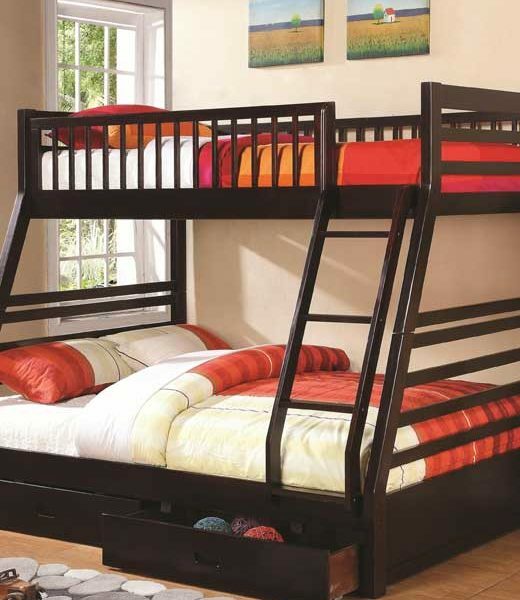 Enjoy the good looks of this Cooper Bunk Bed with Full and Twin size beds. Two drawers included for storage. 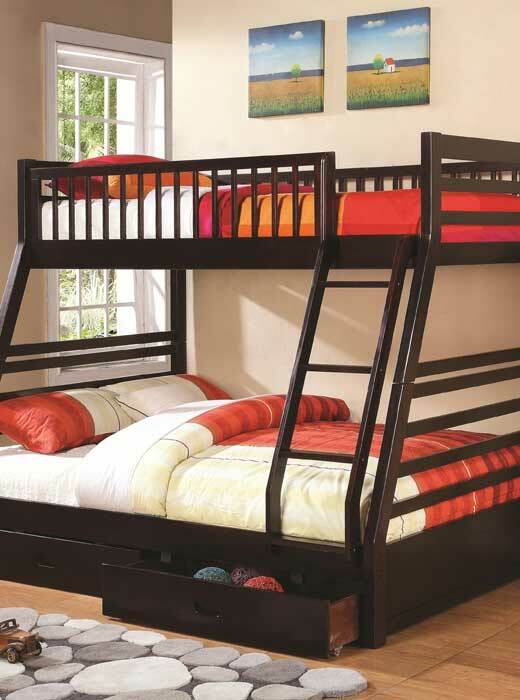 Can be used as 2 separate floor standing beds. Maximum weight is 400/400 pounds top and bottom.